Amraito.Com Science IPhone 8 less demand in the market! IPhone 8 less demand in the market! Information Technology Desk : Now, on the occasion of the 10th anniversary of Apple, breaking the rituals, the three phones bring the phone market. 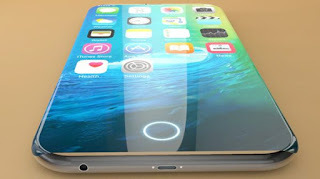 IPhone 8 comes with iPhone 8 Plus, a special phone called iPhone X (Ten). Specially, the features of this phone are in the interest of the customers of Asia is now on the iPhone Tens As a result the iPhone 8 is losing interest News Reuters The new iPhone needs much less than expected. The demand for iPhone 8 in the weeks to come in the market is less than the iPhone 7 in the market last year. Along with the new iPhone coming every year, hundreds of people rush in front of Sydney Apple Store in Australia. The crowd goes to the city's main road-George Street. But this time there are no crowds. Now there were only 30 customers.